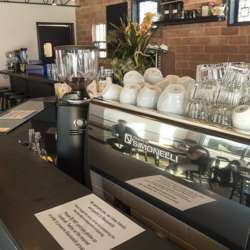 It is time to visit one of the best coffee places in town. Seating is limited but patio should work. Coziness may not be optional. May be the best biscuits in town to be shared.